The first question that is asked often refers to the name of the style. 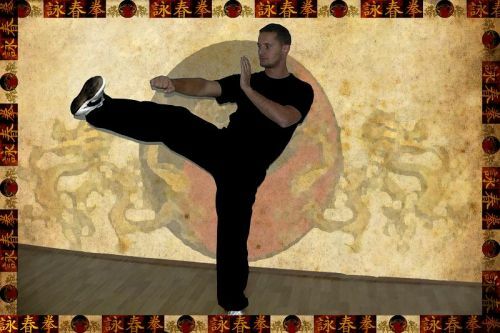 The terms Arnis, Escrima, Eskrima, Kali are names that describe the same style. There are however some misconceptions, being perpetuated because of national pride or for commercial purposes. Kali is the real martial arts, the original from where Arnis Escrima had been developed. No It is Not True. In the Philippines this term was not used until several years ago. 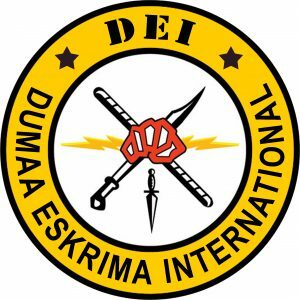 It was actually introduces by Dan Inosanto, then the name was taken over by other schools FMA especially from USA and Europe but not in the Philippines. In the Philippines the term used to define Filipino Martial Arts is Arnis or Eskrima both having Spanish origins. Many practitioners, uninformed or wrongly informed, tend to believe that these names describe different styles. Again it is not true. The term is just like the general term fencing. It describes fighting using a blade be it epee, foil, rapier or other. For a beginner it is an almost incomprehensible universe. There are mainly two opinions regarding the history of these FMA styles. One is Eurocentric , insisting that Spaniards conquered the islands, brought with them better technology, better fighting methods, and have taught Spanish fencing to natives in order to be able to fight against the Muslims in the south (Mindanao). Proponents of these idea are basing their arguments on the fact that even though Philippines is not a Spanish speaking country, all names related to FMA have Spanish origin, like : Espada y daga, Solo Baston, Doble baston, pares pares, numerada , abecedario, punyo, sumbrada, etc.The theory is supported also by the training principles form FMA that are rather in accordance with the medieval fencing methods used in European than the Asian martial arts. Another view is nationalist – Filipino centric ,saying that, on the base of a very good local martial art, concepts and European fencing principles were attached, giving thus birth to a superior system. The cornerstone of this idea is Magellan’s death, which according to Filipino legend, was killed in battle by a local chief (Lapu – Lapu) demonstrating thus the superiority of the local martial arts. Proponents say that only firearms allowed the Spanish conquest of the archipelago. However, according to the journal of Antonio Pigafetta there were 49 Spaniards against 1500 natives in that fight. Hardly can this be called a superiority of martial skills. Even though the battle was lost, only about 10 Spanish soldiers had died the rest were able to return safely to their ships after a ferocious hand to hand combat that left Magellan dead. But, as always, the truth is somewhere in between. Philippines it is not unitary state but rather a union of tribes each with specific language and customs. It is an understandable desire of a nation, especially a young one, to find their roots and find national heroes, who can create and strengthen a national consciousness. And we can also understand the other idea that the history is written by the winners. Any argument however, must be based on facts and not opinions or assertions. From this viewpoint it is factually true that FMA names mostly come from Spanish. It is also true that the FMA are Asian systems that seem closer to the European martial arts in concept. It is true that Magellan had died in the Battle of Mactan island but not by hand of local hero Lapu Lapu in a fair one on one fight, but because of the sheer number of the attackers and a poisoned arrow that hit him in the leg. We should consider the historical context as well. In the battle in question 49 Spaniards were attacked by thousands of indigenous people and about 39 survived. Those who have an interest in reality and less in myths know that the firearms of the period were highly inaccurate and could not be loaded in time, practically limiting the user to one maybe 2 shots. On the other hand, armor gave a huge advantage to the Spaniards from the viewpoint of hand to hand combat. There was a difference from heaven to earth in combat equipment. Imagine a fight between a fully equipped law enforcing officer with helmet, gloves, bullet proof vest and an attacker in T shirt. I am insisting on these details because it is important to put things in the right perspective. What happened after the Spanish conquest however is much more important. Spanish fighting methods and weapons were adapted to a particular type of equipment and a type of war that included some form of protection. But the local population did not have access to this type of protection or simply it was not effective enough considering the temperature and humidity. Weapons were also often work tools. The Philippine population genius is manifested here in adaptability to local conditions. In the absence of armor, cutting techniques becomes as effective as thrusting and so fighting style changes. The Jungle favors ambushes and shorter weapons, tools used to cut the way through the jungle have the balance point located differently than the sword and favor the development of another type of movement. Violence and permanent interaction with Muslim slave raiders in the south required incorporating the most efficient techniques in the arsenal. During this period the foundation for what would become FMA had been laid. It is obvious that any clever fighter will incorporate in his training and practice any idea who will make him more effective.In a situation of life and death blindly follow the “tradition” is suicide. It is shown by history that only innovation can maintain a competitive edge. After the war between Spain and the US ithe islands fell under American administration. It is worth mentioning here, the war between the US and the Philippines started in 1899, and the bravery of the Filipino fighters using bolo knives against the American soldiers. Another episode is noteworthy during the second world war and which involved the so-called Bolo Battalion against the Japanese army. After the war many Filipinos emigrated to America taking with them the Filipino fighting methods. From this moment we can witness an exponential growth in interest in the Western world for these martial arts masters , more Filipinos being invited to hold seminars in the West. But what happens in the Philippines? Unlike Western society which is becoming more peaceful same phenomenon takes place more slowly on the islands. Even now in rural areas people carry a bolo at all times. Knives are common and practically anyone can buy a gun. Is the Filipino society more violent? I wouldn’t say so. It is however more ruthless and not as straightforward. Live is cheap and a “gentleman’s duel” never happens. In modern times, Eskrima masters began to emerge from obscurity and open schools. Rivalries started as well and many clallenges and killings occurred. 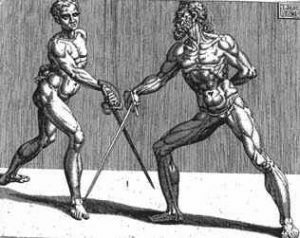 Juego todo were often organized – stick fight without protections and rules. Prizes of 300 pesos (about $ 5) did not cover the visit to the hospital for treatment. In this climate Filipino martial arts were primarily efficiency oriented, the moral or spiritual aspect being left behind. Many of the best fighters went to prison, were killed or put in hospital or grave their rivals just for an ego boost. The Doce Pares school using their organization, WEKAF , was the first one trying to organize the FMA and put some rules and protective gear in play. Others, like ARPI ( Arnis Philippines) followed trying to improve the rules and the equipment. Nowadays many independent masters as well are trying to make a name for themselves. Dumaguete Negros Oriental. The style was founded and developed as a fighting system against the Moro slave raiders from Mindanao.